When you are consulting, you are dealing with all types of people and their various personalities, quirks, weaknesses and strengths. While doing so, chances are you’ve seen the unfortunate impact of negativity. Negative mindsets and interactions can breed conflict and erode productivity. Research in the field of positive psychology, though, shows that optimism can be learned and, when applied, can foster high and sustained work performance, as well as personal wellbeing. In this interactive session, we’ll discuss these scientific studies and identify why they are important to work performance. We’ll explore and practice exercises and techniques for decreasing negative emotional patterns and increasing positivity which can be used in your consulting work as well as for your personal and professional growth. You will walk away with concrete activities and tools you can implement and use immediately to encourage more positivity and flip negativity. Janet’s presentations and workshops are a wonderful composite of experience, research and practical application that touches and transforms organizations and individuals. Her passion is to share the concepts of positive psychology to create and inspire high performing workplaces and individuals. Participants in her programs rave about her authentic and engaging style as well as the practical tips they learn. Janet is President of JME Insights which provides keynotes, trainings and consulting to industries of all types. She’s consulted and trained leadership teams, healthcare professionals and employees in engineering and manufacturing, to name a few. 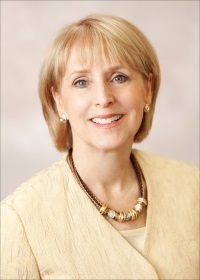 Janet’s 30 years of leadership experience includes being a manager in a Fortune 50 company (Georgia-Pacific Corporation) and a Director in a leading health insurance organization (Blue Cross Blue Shield of Massachusetts) along with work in small to mid-sized businesses, non-profit organizations as well as a consulting firm. While still working full-time, Janet took care of her husband, Charles, during the five years he fought an Atypical Parkinson's disease. She authored a book, Finding Meaning with Charles, about their experience of trying to stay positive amidst the phenomenal challenges. Janet’s leadership experience has been punctuated by her work on various non-profit Boards, including recent past Chair of the Board of Directors for The Foundation for PSP | CBD and Related Brain Diseases where she served as Chair for nearly five years. Janet has a Master's degree from Georgia State University and is a member of the prestigious National Speakers Association. Takes place from 9:45-10:30 following the regular meeting. I’ve been working with managers – and their senior managers and their staff people – for several decades, and before that I was one of them for a number of years. During that time, I’ve also worked with words. This Roundtable is about all of that. I’m an opponent of the misuse of the word “soft” to cover for the fact that many managers and professionals duck the hardest demands of their positions: Those of people management. “Soft” skills often are dismissed as unworthy of the boss’s attention. I say that’s a dodge. There can be knotty problems in business processes, finance, technology, competition and so on, but those challenges generally yield to solution much more easily than people problems, which can a lot knottier. This matter is as close to a universal problem as any of us is ever likely to get. Anyone who manages the work of a group of people – or works in any relationship at all with people – must solve this problem if he/she is to succeed. Many of us find ourselves settling for limited collaboration simply because it would take too much time and effort (read “discomfort”) to overcome barriers of communication, perception, and intention, as well as disconnects in skill sets and experience. Some people just want to be left alone, and behave in ways that get them their wish. How’s that for effective investment of the human resource? What’s your answer to that editor? What challenges in people management have been most difficult in your experience (and your consulting practice)? What solutions have you come up with? What questions still bug you? Bring yours to the March 20 ACE Roundtable. I’ll bring mine, as well as ideas and approaches I’ve collected over the years. Let’s share. Jim Milliken is a coach, consultant and trainer specializing in personal skills of leadership, management and productivity. He works onsite and in group settings on staff development, process improvement, change and innovation management, negotiating, delegation and meeting management; and communication skills such as business writing, listening and conflict management. Jim was a newspaper editor for nearly three decades before establishing his consultancy in 1986. 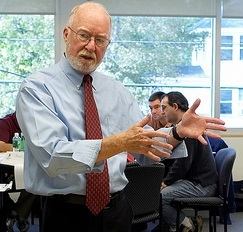 Among his clients is the University of Southern Maine, in whose Professional Development Program Jim presents a three-course, eight-day curriculum in Project Management. He holds the Project Management Professional (PMP) certification of the Project Management Institute. His book, “Life Is a Project: How Are You Managing?” is to be published in March. His website is MillikenProject.com and he blogs regularly at JimMillikenProject.blogspot.com. Registrations are required by March 17, 2015. If you want to be included on the registration list at the meeting then you need to register by the due date.